Number 10 Cans or Mylar? We received this letter several weeks ago from one of our customers. He has given us permission to reprint it in its entirety. We have added the images to better emphasize his points. I’ve read many articles regarding long term food storage emphasizing the benefits of Number 10 cans. I remember my parents buying everything from vegetables and fruit to juice in these cans when I was a child and while they are certainly durable and long lasting, using them for long term food storage does have some drawbacks, as I have discovered. Perhaps the greatest drawback is the cost associated with them. 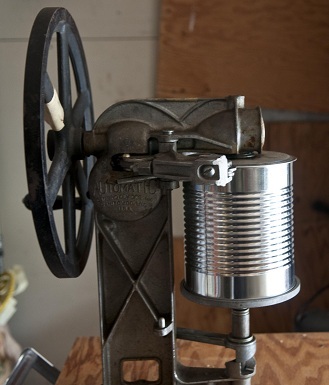 A can seamer, for instance, can run anywhere between several hundred dollars to several thousand dollars, depending on the model and whether it is new or used. The cans are also pretty expensive, around $2 - $5 per can. 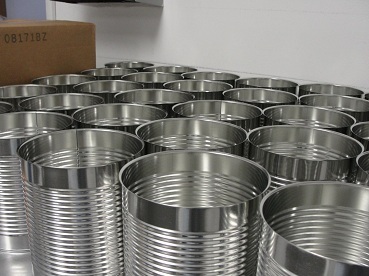 Another major drawback is the space requirements involved in canning. Twenty-five number 10 cans stored in rows of 5 will require approximately 3’ X 3’ in space; unfilled cans will require the same amount of space. Then there is the matter of food developing a metallic taste over time and the depletion of nutritional value in food stored in these cans. Scientific studies* have determined that while food stored in Number 10 cans should be edible for years, some or all of the nutritional value will be lost over time. *The full report can be viewed here. It would be remiss of me to outline arguments against canning for long term food storage, without at least offering a viable alternative. Relatively new to the food packaging industry, aluminized polyester, often referred to as Mylar, has quickly taken hold, proving itself superior to traditional food packaging methods in many ways. I will only focus on three of those here, but any serious study will reveal many additional arguments in favor of Mylar bags over canning. First and foremost, and the primary concern of many in the food packaging industry (as well as conscientious individuals), is the cost factor. By using Mylar food-grade bags, you can easily package close to ten times the amount of food you could package in cans, for the same or less cost. Which brings me to my second argument: storage space, as the amount of space occupied by food-grade Mylar bags is significantly less than that of cans, a fact that is even truer for pre-filled empty bags. 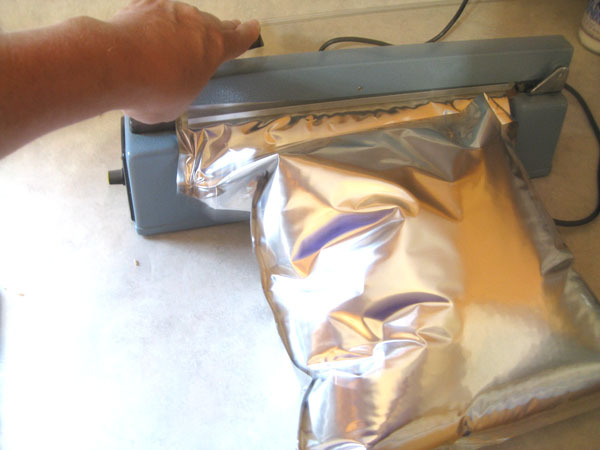 Another major factor in favor of Mylar bags over canning is the ease with which Mylar bags can be sealed. 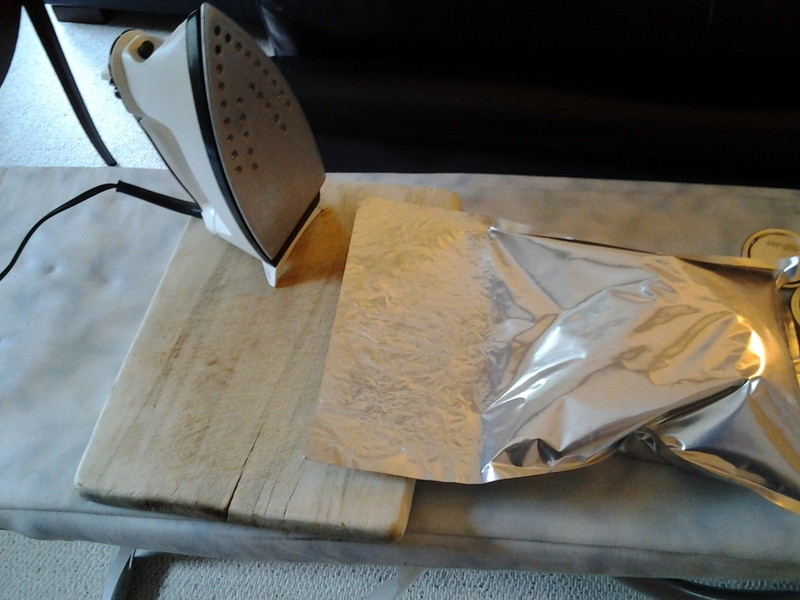 There are literally thousands of affordable heat sealers for Mylar bags and, for individuals on a shoestring budget, even a hot iron will do the trick (though not recommended unless absolutely necessary). Until about six years ago, I was thoroughly convinced that Number 10 cans were the only suitable container for long term food storage. But after reading an article on the benefits of Mylar bags and doing some pretty in depth research, my views on this have changed dramatically. Today, I wouldn’t even dream of using a Number 10 can! In any event, I’ve found your website to be a valuable source of information and appreciate the fact that you seem to be adding new content regularly. Thanks for all your work. Note: For the purpose of clarification, the word “Mylar” is a trademark of the DuPont Corporation for a special type of polyester film. Typically made in thin sheets, it has a high tensile strength and is used in a wide variety of industrial settings. In food storage, particularly for the long term, it is commonly found as a laminate with Mylar ® as the top layer, a layer of aluminum foil in the middle and one or more other types of plastic films on the bottom acting as sealant plies. This laminate combination possesses a high resistance to the passage of oxygen, carbon dioxide, nitrogen, other gasses, water vapor, and light which is what makes it ideal for long term food storage and preservation. © 1998-2013 SorbentSystems.com All Rights Reserved.